BALTIMORE (Hoodline) — Looking to try the best diners in town? Hoodline crunched the numbers to find the best affordable diners in Baltimore, using both Yelp data and our own secret sauce to produce a ranked list of where to venture when cravings strike. Topping the list is Pete’s Grille. With 28 counter-only seats, you’ll have an intimate experience at this 50-year-old spot. Located at 3130 Greenmount Ave. in Abell, it is the highest-rated cheap diner in Baltimore, boasting four stars out of 174 reviews on Yelp. 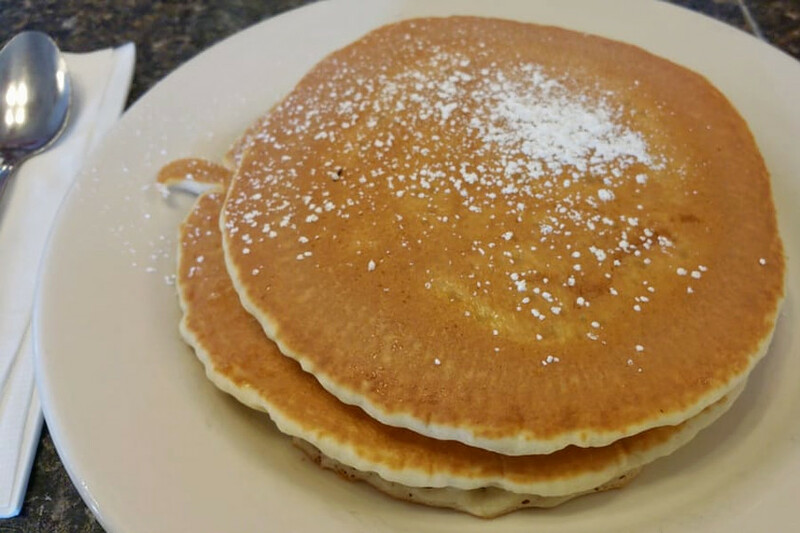 Expect classic American breakfasts of eggs, pancakes, home fries and the like, in quantities that were reportedly sufficient to fuel Olympic swimmer Michael Phelps, according to the Baltimore Sun. Lunch offerings include sandwiches, burgers and daily specials like meatloaf. Next up is Hamilton’s Lost In the 50s Diner, situated at 5512 Harford Road. 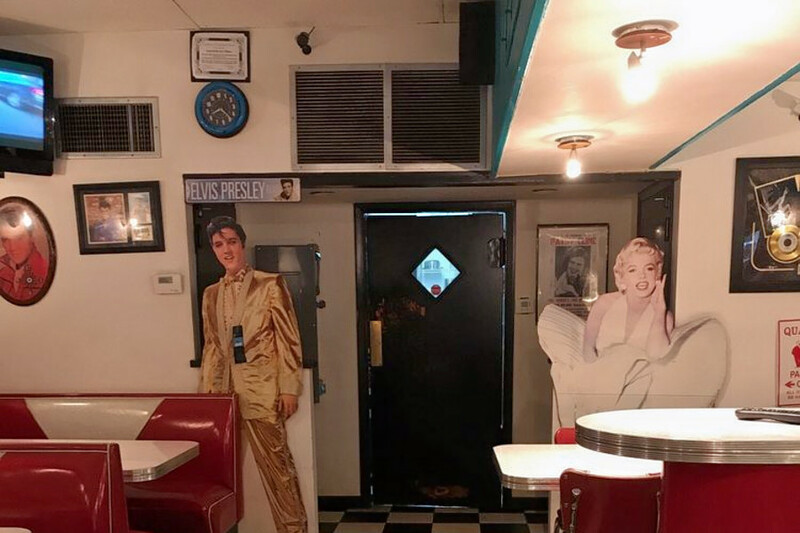 Cardboard cutouts of Elvis and Marilyn Monroe set the tone at this throwback spot, as do menu items named for the likes of John Wayne and Ozzie and Harriet. You’ll find omelets, egg sandwiches and French toast on the breakfast menu. Lunch features Coney Island hot dogs, burgers and sandwiches like a Reuben and a Philly cheesesteak. With four stars out of 86 reviews on Yelp, it has proven to be a local favorite for those looking for an inexpensive option. 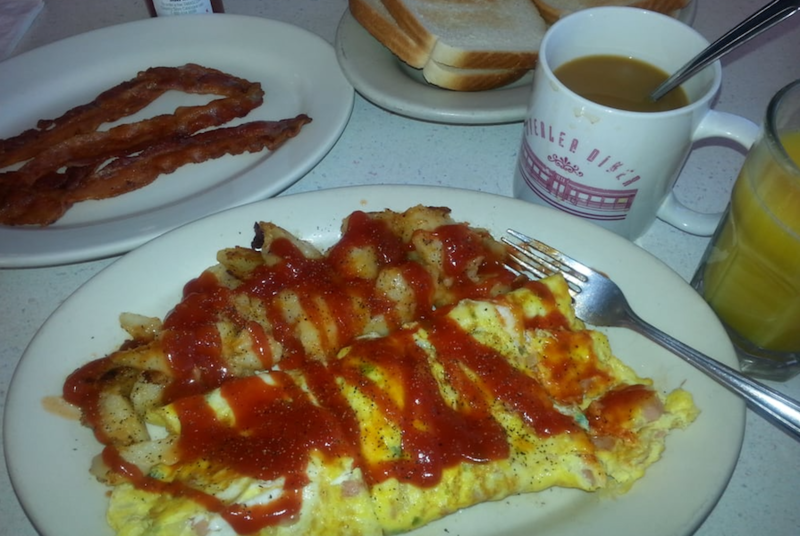 Finally, Overlea Diner, located at 6652 Belair Road, is another top choice, with Yelpers giving the local staple four stars out of 28 reviews. The good-sized menu includes breakfasts of omelets, corned beef hash, Belgian waffles and more, served all day. There’s also a long list of sandwiches, seafood, pasta and old favorites like meatloaf and grilled liver and onions. Many adult customers have been coming to the “OD” since they were kids.